Ongoing research lines are studying systems that employ microwaves for remote sensing and dielectrometry, for monitoring of the environment and of the cultural heritage. Physical methods are also developed for the control of the electromagnetic pollution, for electromagnetic compatibility and for the evaluation of the human exposure to EM fields. 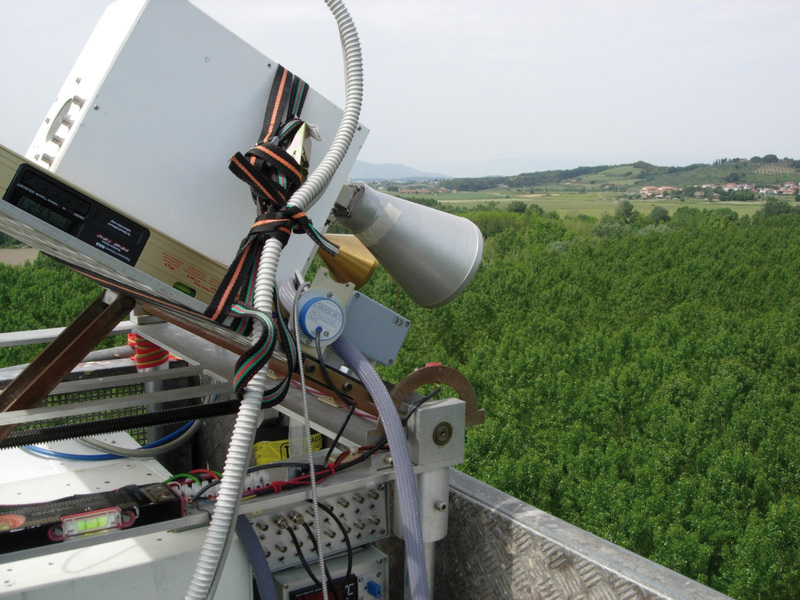 The execution of measurement experimental campaigns with airborne or ground-based microwaves radiometers and scatterometers on various dirface types (agricultural and forest vegetation, snow, ocean). 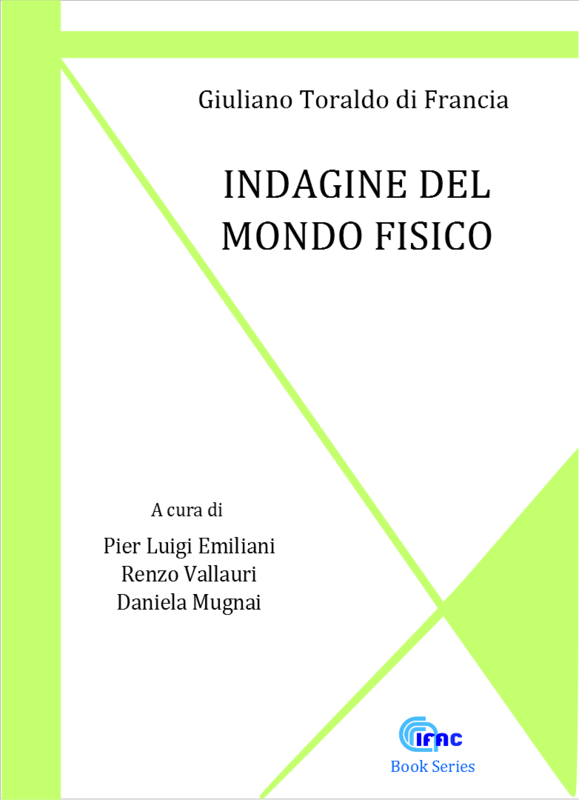 An interesting field of research with regard to the behavior of the electromagnetic propagation involves the propagation of the localized X-waves. This topic is analyzed not only from the point of view of basic research, but also in relation to the use of the said waves for a new generation of GPR equipment. As for the cultural heritage, innovative techniques have been developed in order to evaluate the state of conservation of wall paintings and their monitoring. One example, which is the subject of a US patent, is a diagnostic system based on dielectric spectroscopy coupled by evanescent field. 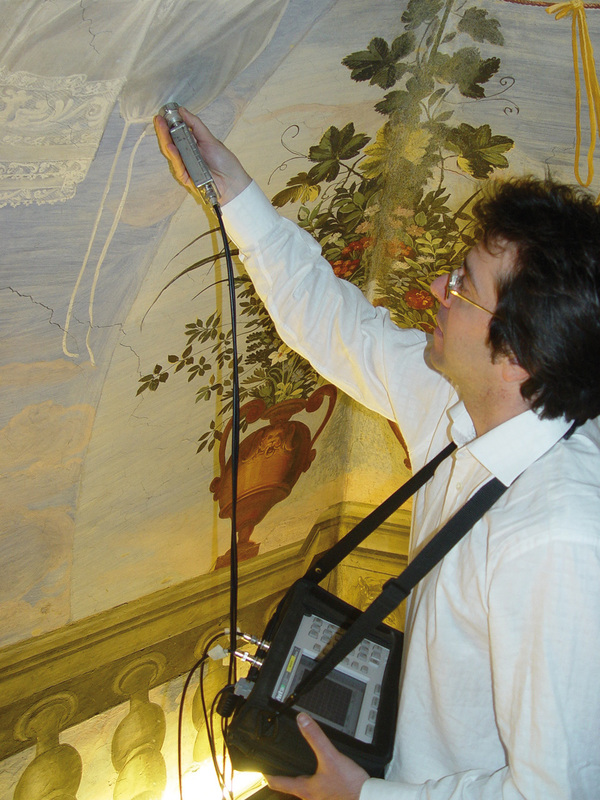 The device measures the presence of humidity and salts in the plaster layer of wall paintings. The activities in this sector are carried out in close cooperation with very prestigious conservation institutions. The objective of technology transfer to industry has been completed with ELAB Scientific, a spin-off company of IFAC. occupation-related exposure to e.m. fields. Microwave radiometer for experimental observation of natural surfaces (crops, vegetation, forests, snow). 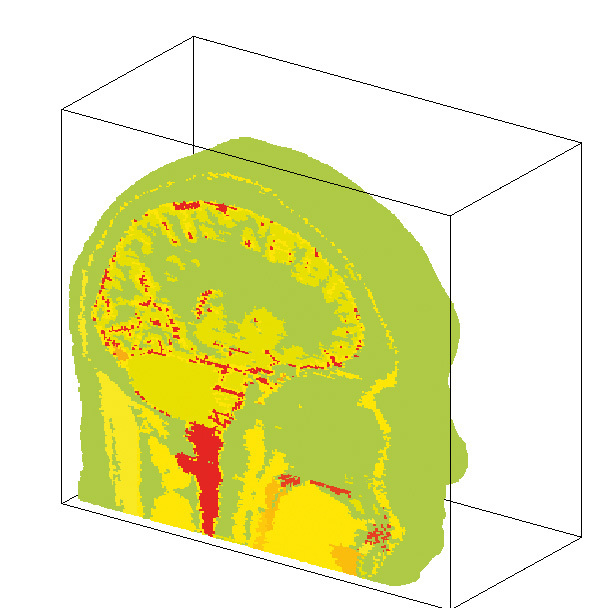 Modelling and visualization of current density induced in the head of a goldsmith using a RF oven.